Emirates’ latest Boeing 777-300ER aircraft fitted with the ‘Game Changer’ First Class product will operate between Dubai and Vienna on a daily basis from 1 December 2018. 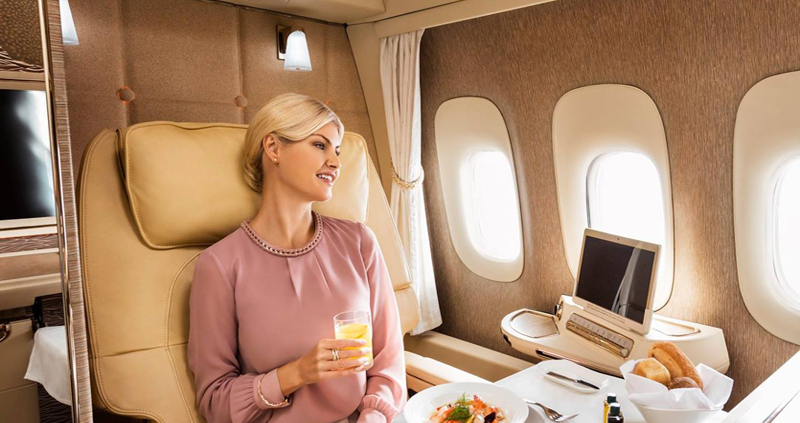 With floor-to-ceiling sliding doors and sleek design features, Emirates’ new private suites on the Boeing 777 takes luxury and privacy to the next level. Offering up to 40 square feet of personal space each, these spacious, fully-enclosed private suites are laid out in a 1-1-1 configuration. The new suites were designed with customer comfort in mind as the seats recline into a fully flat bed and can be placed in a “zero-gravity” position. The aircraft also boasts the industry’s first virtual windows for suites located in the middle aisle. These virtual windows project the view from outside the aircraft using real time camera technology. In the other suites, binoculars are available for customers who want to explore the sky outside their windows. Customers in each suite can easily communicate with the cabin crew or request for room service through a new video call function. The Business Class seats are inspired by the interior of a modern sports car, and feature an ergonomically designed headrest with a sleek overall look and feel. 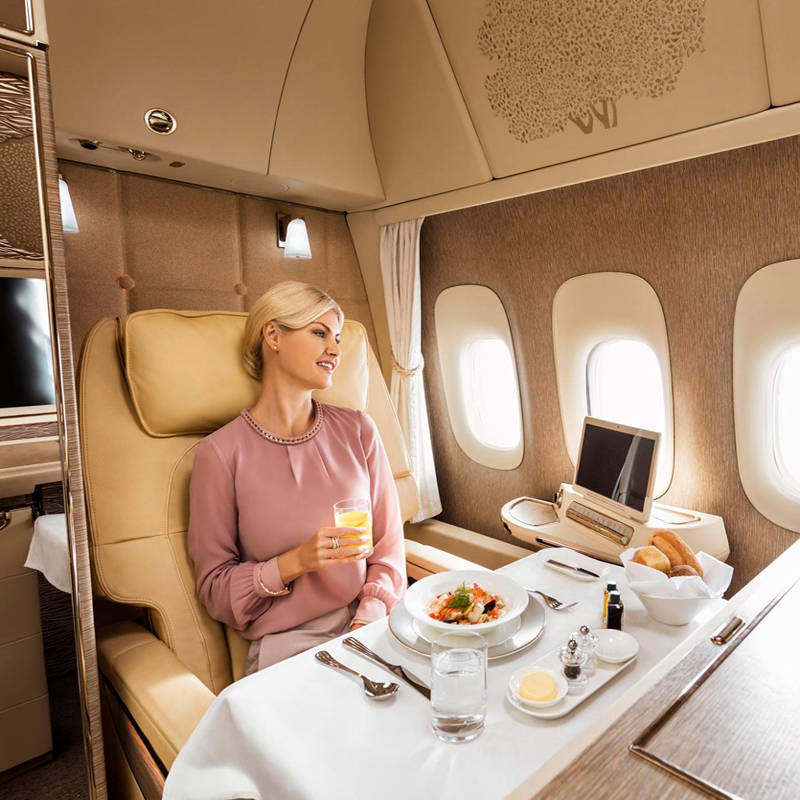 It has touchscreen controls for the seat and inflight entertainment system, several personal lighting options, privacy panels between seats, a shoe stowage area, footrest, and a personal mini-bar. The Economy Class cabin features a colour palette of soft greys and blues. The ergonomically designed seats come with full leather headrests that have flexible side panels and can also be adjusted vertically for optimum support.